If you’re sensitive to traditionally fermented foods, or looking for a quick, easy low maintenance way of making your own then using a starter culture is the way to go. Over the last few years I’ve looked into different starter cultures and the Kultured Wellness cultures are the best ones that I’ve come across and the only ones that I personally use and recommend. These cultures are high potency and specially formulated with the right strains of bacteria for gut healing and rebuilding. They are made for people who are sensitive to traditionally fermented foods, have histamine intolerance, an autoimmune condition or severe gut imbalance. They are also easy to use and maintain making them a great option for those new to fermenting or wanting to save time. 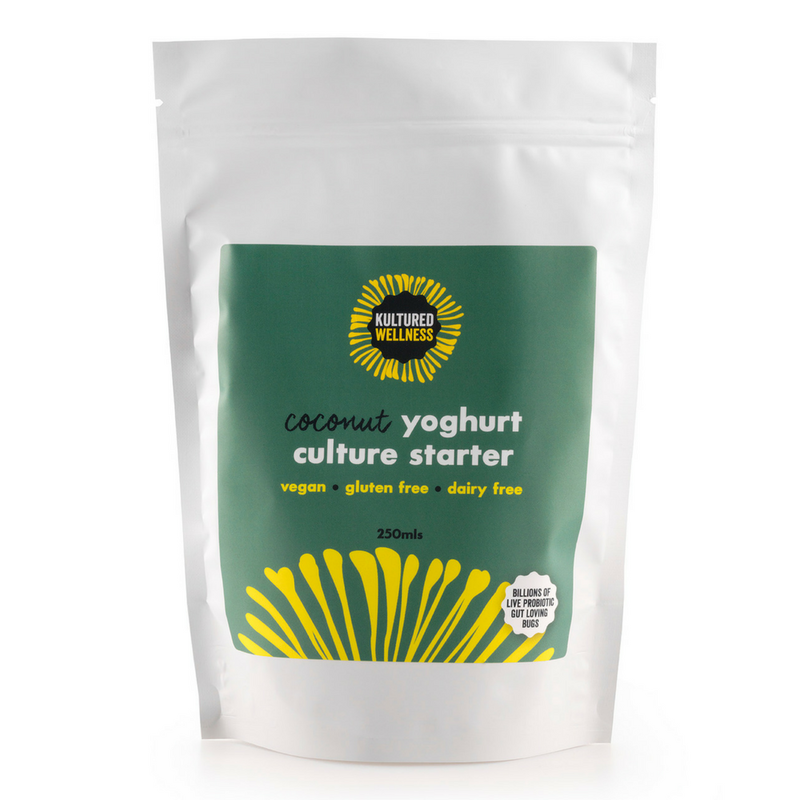 The Kultured Wellness Yoghurt starter makes approximately 10 litres of deliciously, thick, creamy coconut yoghurt. It's quick and easy to prepare and you can add it to just about anything from smoothies to gummies. The Kultured Wellness kefir starter makes approximately 10 litres of bubbly coconut kefir. It's as easy as adding coconut water then leaving on the bench to ferment. It makes for a refreshing drink on it's own or you can flavour it as you like. You can also use the finished kefir as a starter for other ferments.